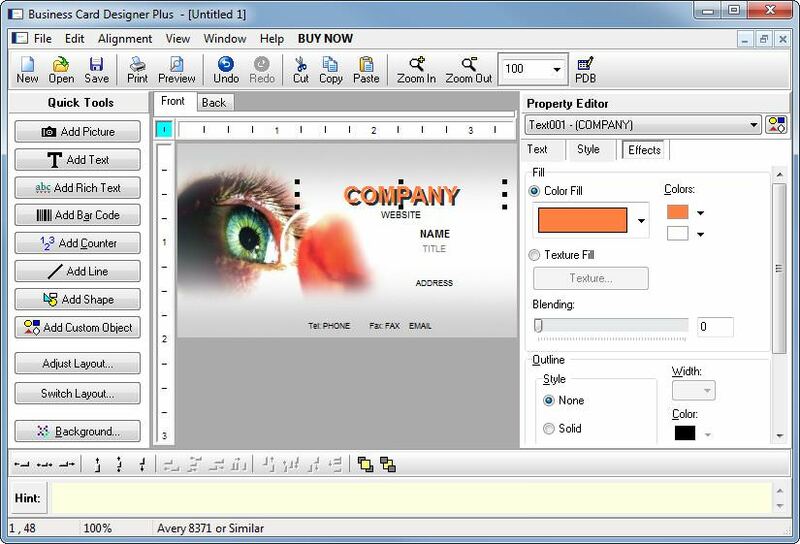 Found 2 file extension associations related to Business Card Designer Plus and 2 file formats developed specifically for use with Business Card Designer Plus. With Business Card Designer Plus you can print high quality business cards as you need them using our business card software. Support for ALL business card stock. Hundreds of business card templates and thousands of backgrounds, textures and clipart images included. Use your own logos and clipart. Support for all major graphic formats. If you need more information please contact the developers of Business Card Designer Plus (CAM Development), or check out their product website.